SHARING MY WORLD: WHERE HAS MELANIE GONE? Once again, it’s back to my reader to see where my posts have gone. I knew my email had dropped suddenly. I was so relieved at not having a thousand emails a day to cope with, I failed to realize that half the people I follow are missing, too. Good old WordPress. They never stop sharing their technical problems with their customers! I can’t say it was the birth of my son because that was a 23 hour, absolutely EXHAUSTING labor that I thought would never end. If I’d had a proper obstetrician, it might have worked out better. As it was, I was so tired by the time he was born, I think I didn’t wake up for three days. They don’t call it “labor” for nothing. For real magic? It was being close to death one day, having a vision during the night when the great voice from nowhere told me I was not going to die, then waking up the following morning well enough to go home. Also, this Cardinal is pretty magical too! I thought about it and said: “Yes, probably.” I’m that skeptical. But it was magic. Skeptical I may be, but I’ve been pulled back from nearly dead twice … possibly three times. I’m not as sure about the third time … that may just have been really excellent medicine at work. My daughter-in-law. You had to live with her to really feel it. God? 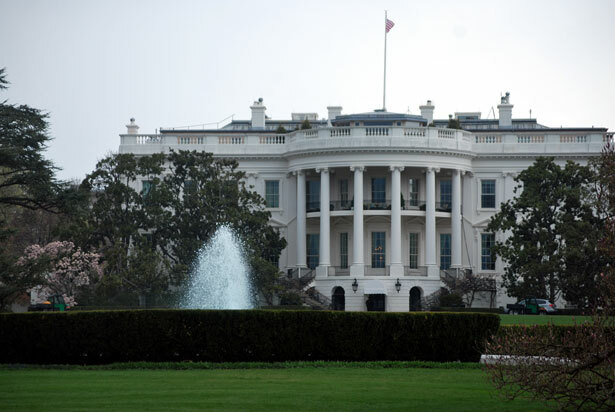 If you want to prove your might to me, please smite you-know-who in the big white house. Do that, and I WILL believe! I think a house without art isn’t home. Art takes you out of yourself and makes the ordinary beautiful. I love art. Paintings and pottery, dioramas and rugs, tapestries and tatting. I love writing and photography and music. I love everything except screechy operatic sopranos (sorry — not a fan of opera). You know in China, they had art even for rice peasants? Because they believed everyone needed art. I own some of it and these are among my favorite pieces. 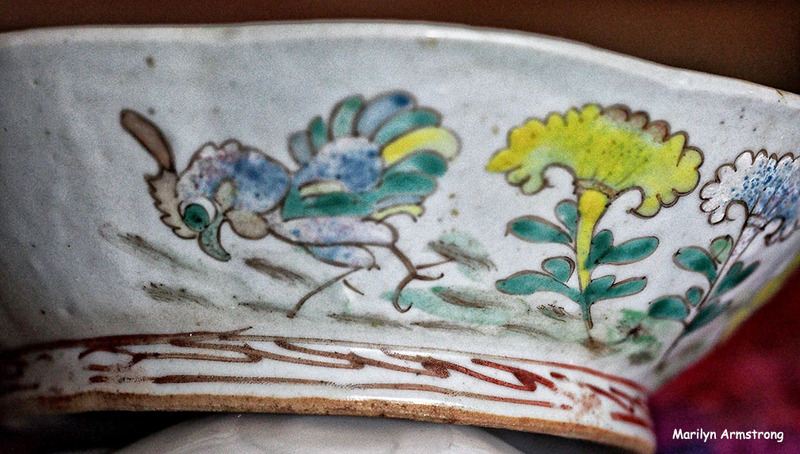 Rice bowls decorated with colorful chickens and big clunky horses from the Tang period ridden by servants. For servants to put in a place of honor. I’m really, really glad we bought that thing to keep ice off the windshield. I only wish I’d bought a garage too. Thank you. Ordinary lives aren’t as ordinary as we think. A lot of what we think is dull turns out to be interesting to other people. It’s one of the first lessons I learned in blogging — that everyday stuff was the material that got the best response. Because NOBODY lives a more ordinary and uneventful life than me. I defy anyone to prove their life is duller! You would be surprised! But ordinary and normal are just relative terms. I think we think our lives are boring and hum drum. But others – gleaned from conversation – think just the opposite. We also have been spoiled by all the things we did when we were younger. On second thought, I LIKE our lives now except for the painful part with aging and the tight financial squeeze of retiree’s incomes. I also look at the hundreds of thousands who’ve been layed off by the government shutdown. They’re not just statistics! They’re families who wonder how they’ll survive from day to day without any income. On balance, we’re okay. That last answer made me laugh out loud. I so totally understand. Hubby gets to keep his car in the garage, while mine sits in the driveway all night. At least I can comfort myself with the knowledge that the garage is unheated, so his car still isn’t toasty warm when he gets in – and, he has to brush off and scrape off my vehicle before he can get his out of the garage. There’s just no way to escape winter. We had a garage when we moved in, but it was so awkwardly positioned, getting a car into it was very difficult. We used the space as a shop and a small office. But I miss having someplace to shelter the car from the ice. No, there’s no escape — and misery loves company! Right where she used to be. WordPress just deleted her from my list of sites I follow. Typical. I’ll stick with the question about art. To me it tells a story, it should inspire and help people to reflect. I’m unaware how it can hurt society. Perhaps someone could enlighten me? WordPress, if they are not messing you up one way then they will find another. Hope you found everybody. I’ve found most people, but not everyone. Yet. I’m hoping some people notice that I’m missing and get in touch with ME too. I wish they would stop doing this. Probably someone will explain the museums cost money, that artists require support. Because art isn’t a very “bottom line” industry. It isn’t an industry. It’s ART. Well said Marilyn. The arts are suffering from the new business model. Thanks for Sharing Your World Marilyn. I read your comment on my version of SYW, and I meant to say I was following YOU…um. 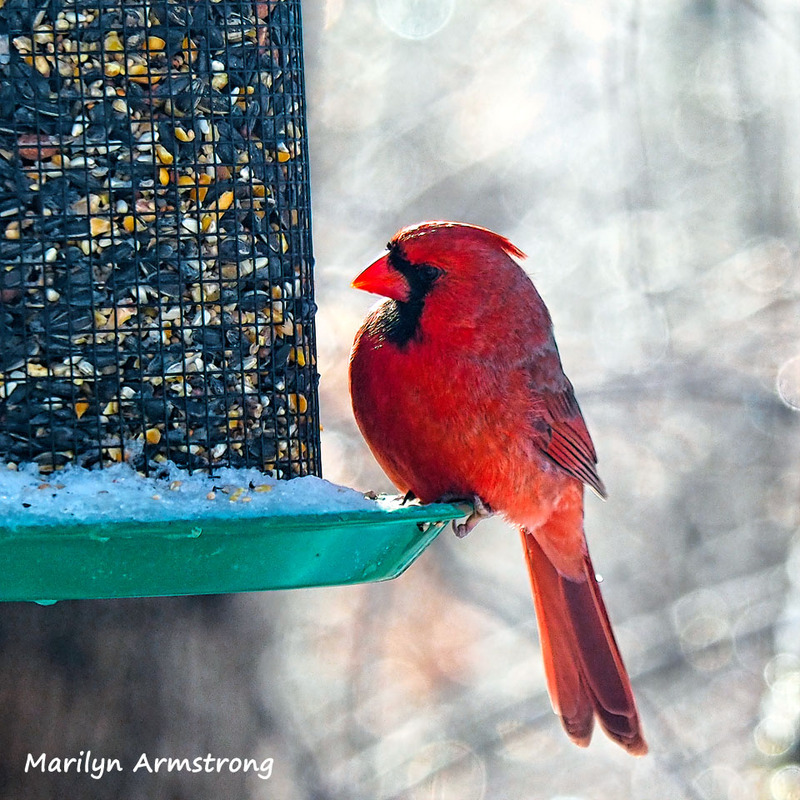 Even the most diligent ‘editor’ misses things… Thanks for all the lovely bird shots lately. It’s given me a much needed spirit lift! I haven’t seen your site show up in my email. It’s possible that there’s just so much email, I’m lost. And it’s also possible that I’ve been taking time out of my blogging life to live the rest of my life which seems to involve birds and ice and snow, writing, reading, and occasionally, actually watching a TV show or sleeping. But I haven’t seen you “flag” and you weren’t listed on “reader” management list. That’s what they do. They mess with the system and someone — often a lot of someones — lose a lot of followers. The only way I found that post was because Fandango answered it and I followed HIS link to your post.